To start off, I am really not a fan of liquid foundation since my skin is both dry and oily. Plus I always get a hard a time blending liquid foundation smoothly and evenly on my face. 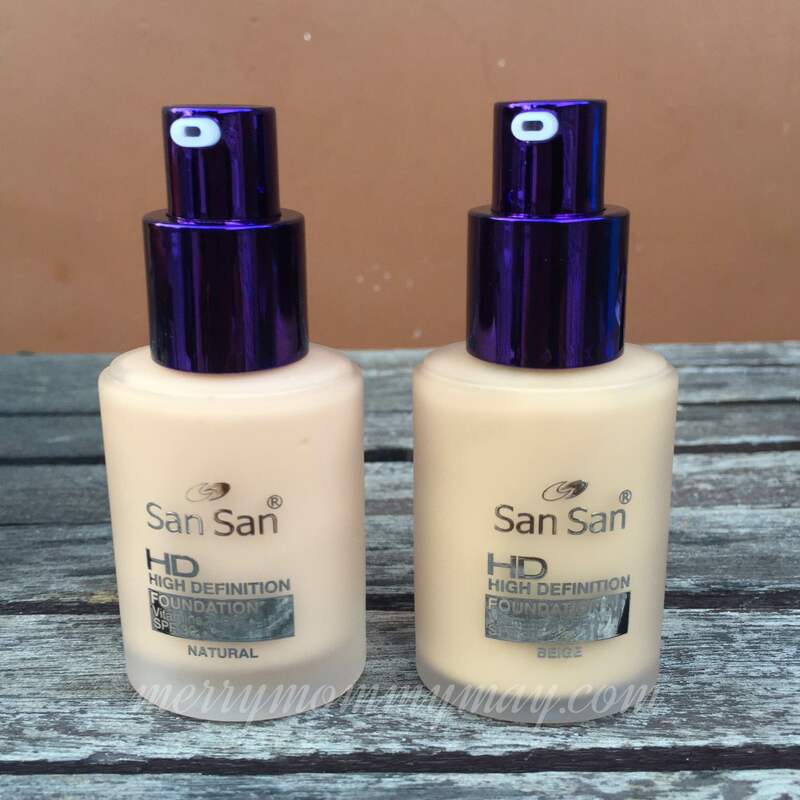 But few weeks back, I’ve been reading some raves about San San HD High Definition Foundation. 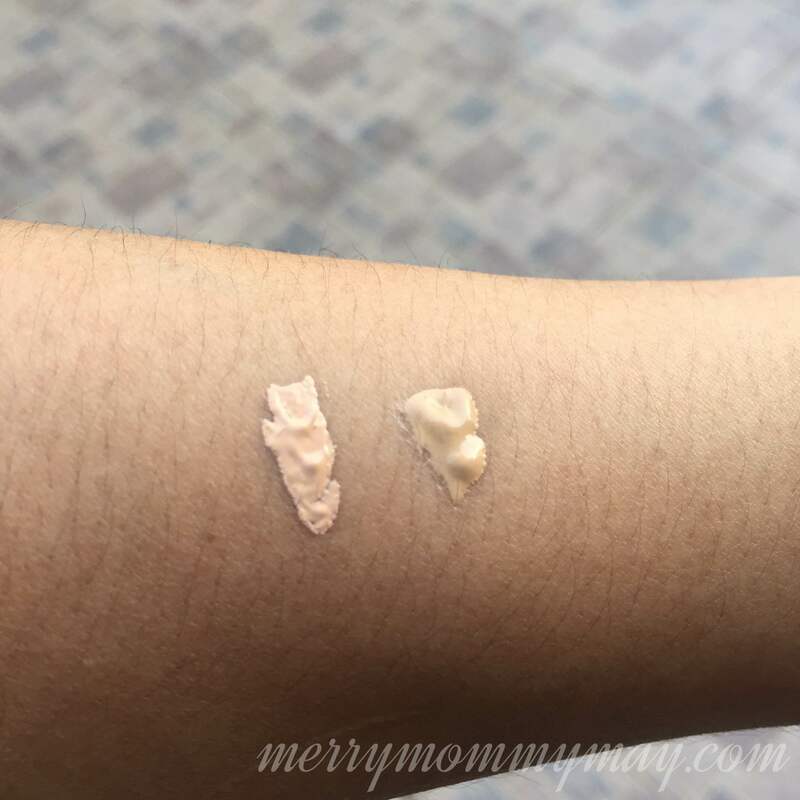 And I must say, curiousity got in me so I headed to the nearest HBC store and bought my own San San HD Foundation to try on – with hopes that this liquid foundation can finally be friends with my very complicated facial skin. To my surprise, HBC got a B1T1 sale that week so I got two bottles of liquid foundation for the price of one! Great! I really love sales and discounts! San San HD has three shades: natural, beige and olive. 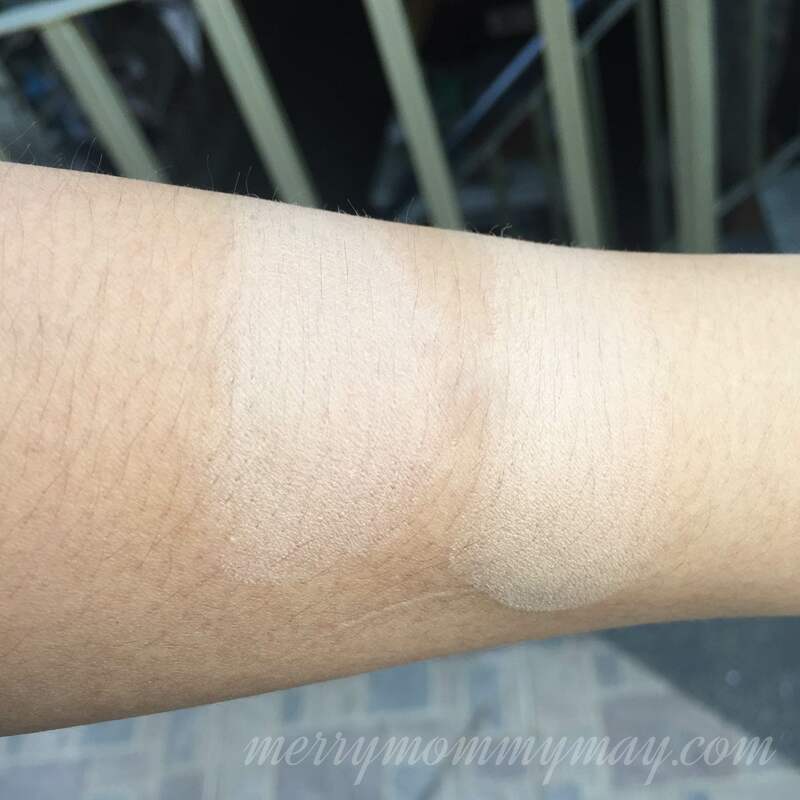 I chose to get two different shades so I can make a comparison and give better review of the product – natural and beige. Since I am acidic, natural shade blends with my skintone better. But sometimes, I also use beige when natural shades are not available. 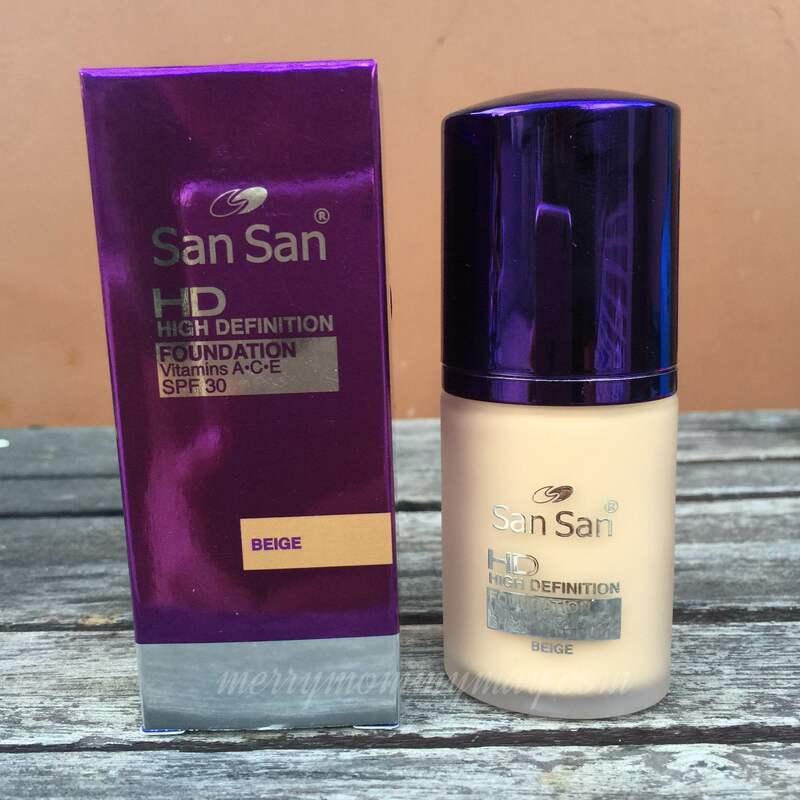 Tried on my skin, San San HD has a thick consistency which gives me an impression that it can give full coverage even with just a small amount. It has a heavy feel on my skin at first but you can blend it to get it thin and light. It also smells really nice with its very vanilla scent! What I love most with this foundation is that it has Vitamins A, C & E which helps in making our skin well-nourished and glowing. It also has SPF 30 that protect the skin from harmful sun rays. Plus, a bottle of 30mL only costs Php205.00 – very pocket friendly indeed! Overall, I find San San HD a good product. It has SPF and vitamins. It is blendable. Best if you use a sponge. Staying power is also notable. Although its vanilla scent appears to be really sweet for my nose, some may find it too strong. Dries up quickly on skin so you also need to be quick in blending it to achieve an even coverage. As promised, I will be throwing a series of giveaways to celebrate the makeover of my blog and my (very belated) 1st blog anniversary. Yey!!! And since today is Mother’s Day, let’s celebrate it through my Giveaway No. 1!!! *Make sure to follow all the instruction above and set your account to public so I can check. Giveaway ends on May 20, 2016. Winner will be notified through email. Happy Mother’s Day, Merry Moms! 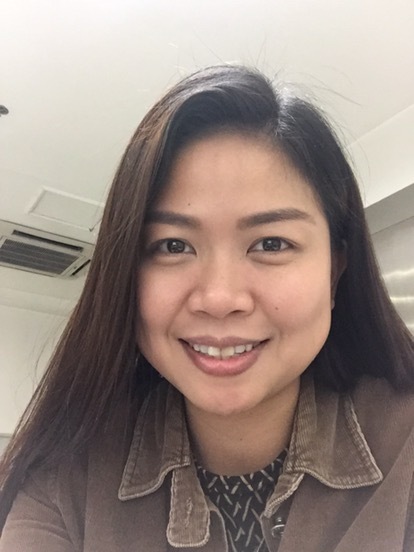 This entry was posted in Contests & Giveaways, Fashion & Beauty and tagged fashion & beauty, makeup. ← My New Baby is Born! 205 and you got 2? Yey! 🙂 how was the beige shade? Would love to join your giveaway in a few. My mobile is such a challenge. Not a foundation user here before but a friend explained to me the benefits of using a foundation. I use a certain brand once in a while as i fear i migjt have breakouts. Will try this brand if it will be friendly to my skin too. I never really tried using a liquid foundation except on special events lang. Feeling ko kasi makapal sya on ordinary days. Joined the giveaway. It looks nice on you. Having dry and oily skin at the same time does sound complicated. Glad that you found a good product. And it’s so affordable too. I think Sansan Liquid Foundation really looks good on you!! Awesome giveaway! P.S. Blog Ni Ako is my sister, Anney’s blog. Thanks for always dropping by our blogs. Oooh you look good wearing it! I’ve just recently hoarded BB creams, sayang naman baka di ko magamit. But I’ll keep the brand in mind. Good luck to everyone who joined! I usually prefer liquid foundation because my skin has a tendency to be dry. 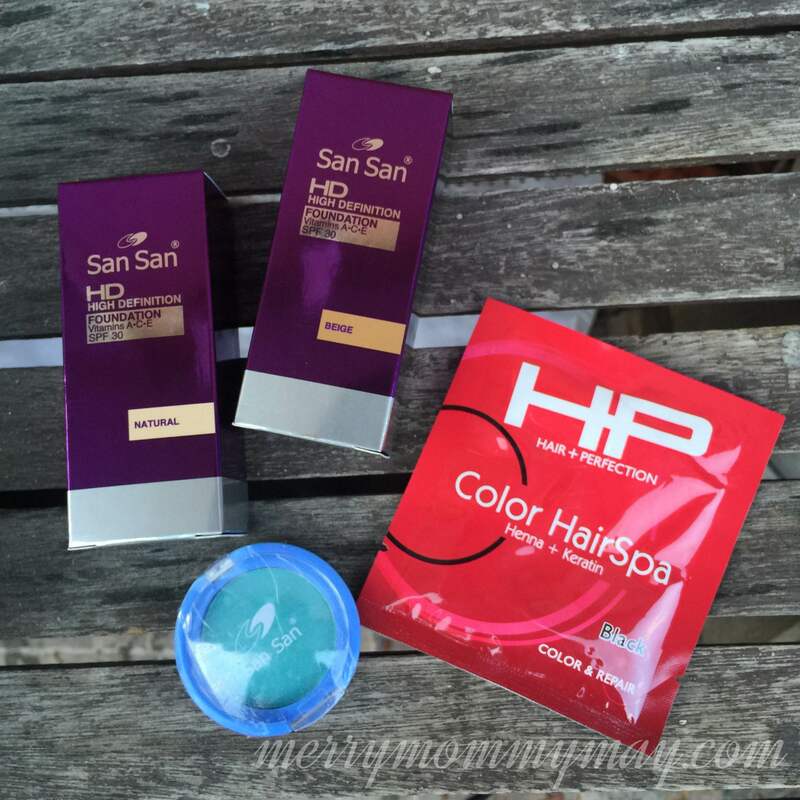 I’ve never tried any San San products yet though but this one looks promising. Affordable too! I have never tried using liquid foundation, this one looks like something even a make-up noob like me can give a try! Congratulations on your new design + good luck to everyone who joins the giveaway! I want to try this liquid foundation..Hoping and Praying to win!! Pick me Please!! The foundation gives you great coverage. I’ve been wanting to start using this but I’ve been hesitant to because of possible breakouts and I really don’t like the cakey feeling some foundations give you.